The Little Love That Could collects spirituality-driven autobiographical essays, humorous in tone and full of charming self-revelations. 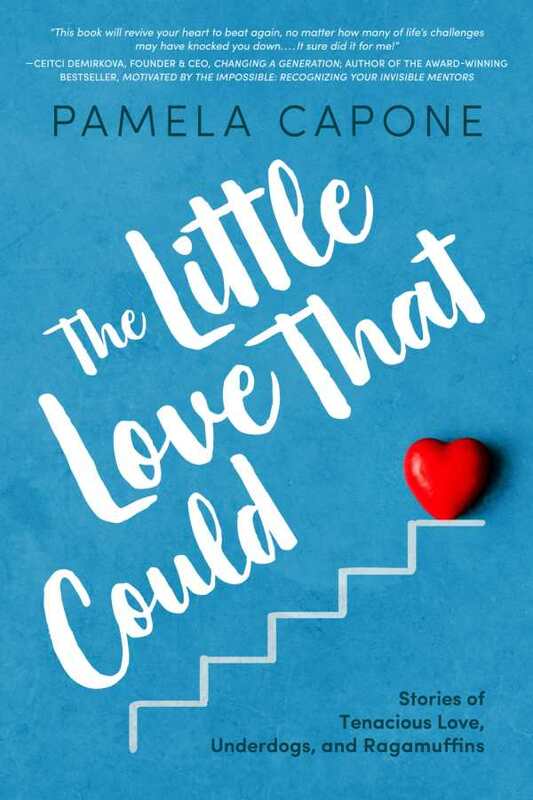 Pamela Capone’s The Little Love That Could is a spiritual autobiography told in vignettes—about living with your own flaws, choosing to be a helpful force in the lives of others, and gratitude for blessings. Pieces jump in time from Capone’s childhood on, mostly concentrating on her mid-fifties, from where she reflects on her life thus far. Each recounts and reflects upon the lessons of a moment: how she learned through interactions with others, engagement with her faith, and worldwide travel. Some other people in her life are frequently featured, including Inez, an elderly friend in an assisted living facility who teaches Capone about finding peace and happiness, Capone’s husband John, and Stacie, a friend who lost a battle with brain cancer. Capone reminisces about their personality quirks and friendships, as well as about her marriage and getting the most out of life. Trust in God is a recurrent theme. Through her experiences, Capone learns to be good to those around her and to admit to her mistakes. Another common refrain is the parallel between Capone’s adoption by her foster family and the way that Jesus welcomes all into his family. Many pieces make direct connections to Christianity; others are humorous or poignant anecdotes that stand alone. The book imparts its perspective well across its many different stories, reinforcing connections between Capone’s faith and her daily reflections. Life lessons come through in an endearing self-critical but good-humored tone. Some conclusions are overdone, like the repeated encouragement to be a “swooper” who jumps in to help others, but Capone’s revelatory vulnerability around her own tendency to be too sensitive and her bouts of impatience results in original takes on common subjects like marital spats and gratitude for life’s gifts. Gentle self-mockery, as when Capone asks if it would be too obnoxious to quote from her previous book (and does it anyway,) and colloquial phrases like “Momma no likey” lighten the tone in a pleasing way. The prose is full of wordplay (Achilles’s Heal/Heel) and detailed descriptions of active scenes of dancing and music. Colloquial language adds color and spark. Time-period-specific references, including to recent television shows or dialogue from movies, are distancing for those who are not familiar. Because the vignettes don’t move chronologically, some gaps arise, and some of Capone’s stories—for instance, thoughts on a child who stole her pizza leftovers in Italy—don’t wholly connect to the reflection points of their chapters. The concluding essays, especially “Little Bunny Cotton Trail,” bring out the dominant themes, and the end result is a cohesive, satisfying memoir.